Do You Need Physical Therapy In Denham Springs? 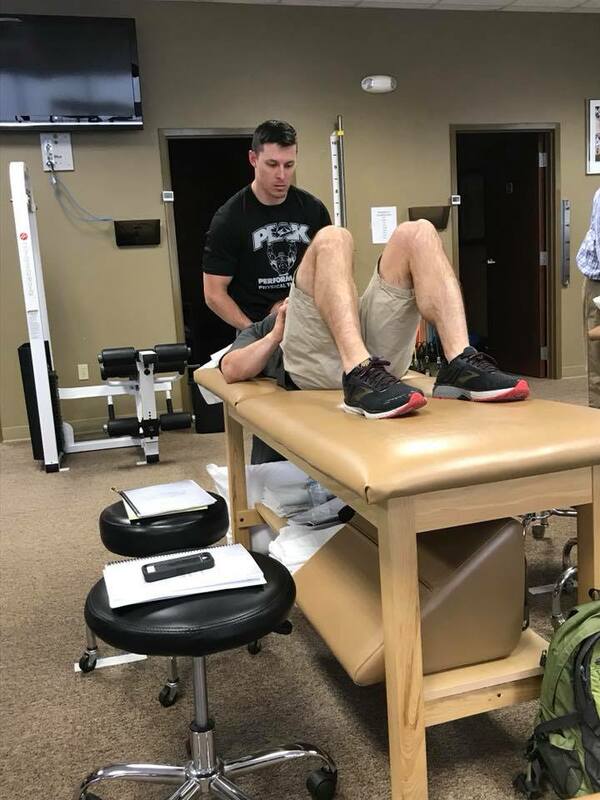 Are you looking for physical therapy in Denham Springs? We have good news! Not only is there a place you can go to for help, but you also won’t have to drive all the way into Baton Rouge for your appointments. Peak Performance Physical Therapy has a location to serve Livingston Parish residents. No matter your injury or physical therapy needs, our staff has the knowledge and tools to get you back on your feet. Muscle Injuries: Our bodies have 650 muscles—that’s a lot of opportunity for strains, cramps, and pulls. Therapy can help you nurture and strengthen your muscles to prevent future injuries. Back and Neck Pain: Whether it is from an accident, or from postural problems, back and neck pain can be extremely frustrating. Most of the time these aches and pains can be managed quickly and efficiently. Don’t suffer needlessly. Knee Problems: Knees account for more than half of sports injuries. Though strong, the joint can easily be hurt by running, skiing, or just taking a wrong step. Shoulder Issues: The shoulder is a delicate part of the body. Shoulder injuries account for about 20% of sports injuries. Repetitive action can cause stress, but therapy can help you strengthen and recover. Tennis Elbow: Elbow injuries can be from a killer serve or from clicking around YouTube. Either way, they can set you back. Get back to hitting or clicking with Peak Performance. If your body is not moving or feeling right, it can be challenging to live your life. It can affect the things you have to do as well as the things you WANT to do. It’s difficult and frustrating not to be able to walk as you usually do. Or if you need to drive for your job, use hand tools, or sit at a computer for long stretches of time. You don’t want your injuries or surgery recovery to get in the way of your livelihood. You also want to be able to do the things that bring you joy. You might love activities such as gardening, golfing, or running but they can cause you injury too. It’s our goal to get you back to living your life the way you want to. Supposedly, the most critical factors in real estate are location location, and location. We think those apply to physical therapy as well. Depending on your treatment, you might be going to sessions multiple times a week. Having a clinic close to your home or office will save you time and headache. Peak has seven locations to serve residents throughout the Greater Baton Rouge area. We look forward to welcoming you to the one most convenient for you. Our Denham Springs location is located on Aspen Square off S. Range, just a stone’s throw from Interstate 12. We’re open 7:00 a.m. until 6:00 p.m. Monday through Thursday, and 7:00 a.m. until 5:00 p.m. on Fridays. Remember us if your doctor refers you to physical therapy. Give us a call at (225) 667-9554 if you have any questions.